Jonathan: This photo was taken as my family and I traveled from a California travel nursing job to a South Carolina nursing job. It was taken somewhere in New Mexico: we stopped for a potty break and found this awesome cactus. We are from Georgia so this was a really cool thing to see and learn about. 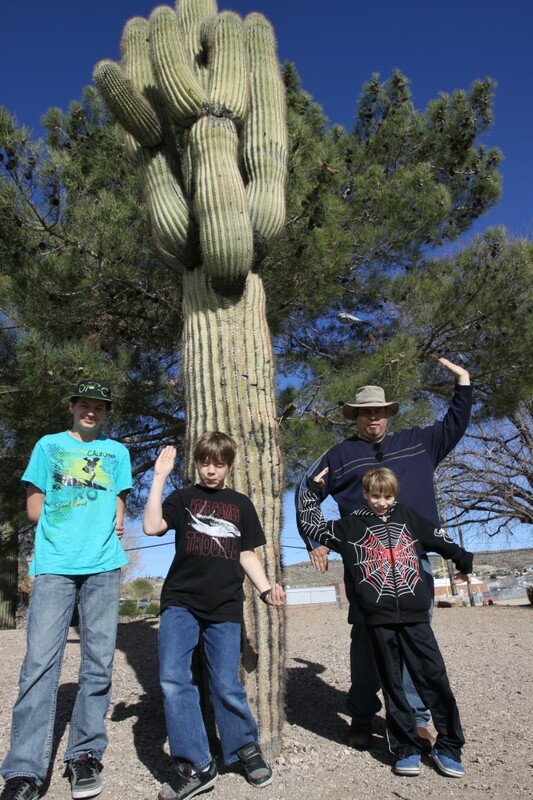 We gave this one the caption, “Walk like a cactus.” The family tried to blend in and look like a cactus. What a joy to find smenooe else who thinks this way.